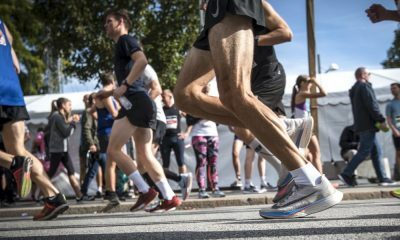 The Endurance coach says coaching is a partnership and not just about telling an athlete what to do. 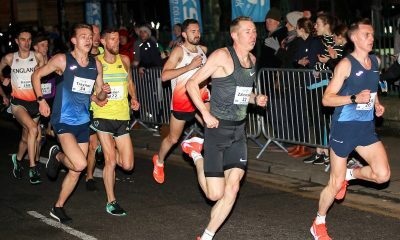 Mountain running international Andy Douglas recently spoke to Fast Running and emphasised the vital role his coach Sophie Dunnett played in his development. Dunnett, who has worked with Douglas for the past nine years, has been coaching at various levels for 31 years. 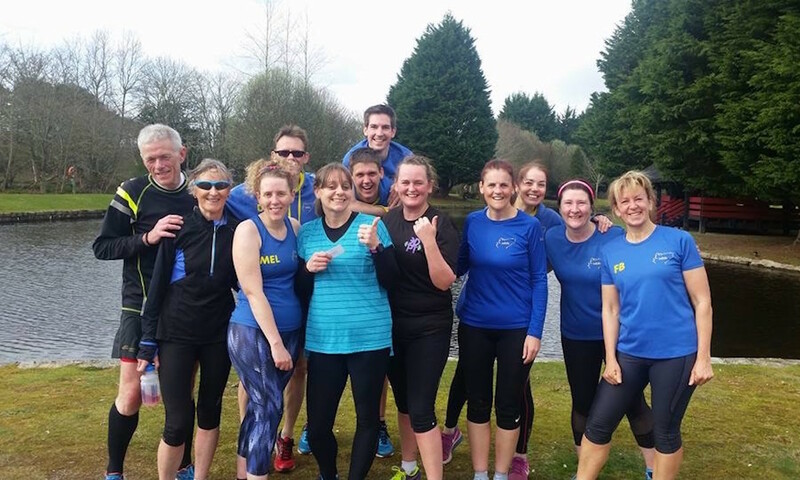 What started out as going along to the local club to help junior athletes, including her twin daughters, Emma and Oonagh, progressed to the North Highland Harriers coach working with a mixture of international athletes, marathoners, mountain runners and even ultra runners. “The twins started racing at 9 years old,” says Dunnett. “In their very first race they finished second and third, so we figured they might be quite good at this. It is clear from talking to both Douglas and Dunnett that there is a strong coach-athlete relationship. “I started working with Andy when he came back from a year in New Zealand, she says. “That was nine years ago and what an adventure it’s been! The partnership is a common thread in the discussion. Some coaches have a style where they tell an athlete what to do and they follow orders. It works for some, but it’s doesn’t work for everyone. Each individual athlete can have complex scenarios and it is vital to work together and to have a common understanding of not just the outcome but also the process. “For me, as a coach, it’s not just about passing on technical knowledge,” she explains. “You have to take the time to get to know the athlete and what works for them as an individual. 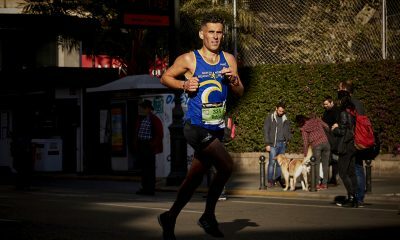 “I can be a very hard coach, just ask the runners about my hill sessions, but I’m very balanced. More often than not my role involves pulling an athlete back from doing too much and recognising the signs of over-training. Another interesting point about Dunnett is her path to becoming a coach of international runners. Some assume you need to have been a high-level athlete to be a top coach, but that certainly isn’t true. Many top coaches may have joined the local club to start helping out their own children, before taking on more responsibility. They have built up their experience over years of volunteering and gained the qualifications. In Dunnett’s own 31 year coaching journey, she has developed junior to senior athletes and worked with all levels of club runners to British internationals. Much like in other sports, such as football and tennis, you are now seeing world class coaches not all coming from an elite level performance background, and she is certainly one of them in the running world. Another thing that’s clear is the joy that Dunnett gets from coaching, so much so that, that she now aims to become a full-time coach. This prompted her to set up a coaching business called Performance Endurance Training. It has only been a short while since the club and international coach set up the business, but it already proving a success. 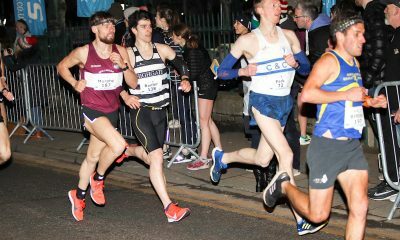 “Having athletes like Andy and Ross [Gollan, Scottish international mountain runner], who are active on social media and putting out great results means that others have come to me for advice, coaching and mentoring,” she says. “As a part-time volunteer coach, you can only spare so much time to provide quality coaching to a select few athletes. More information about Sophie Dunnett’s coaching can be found here.